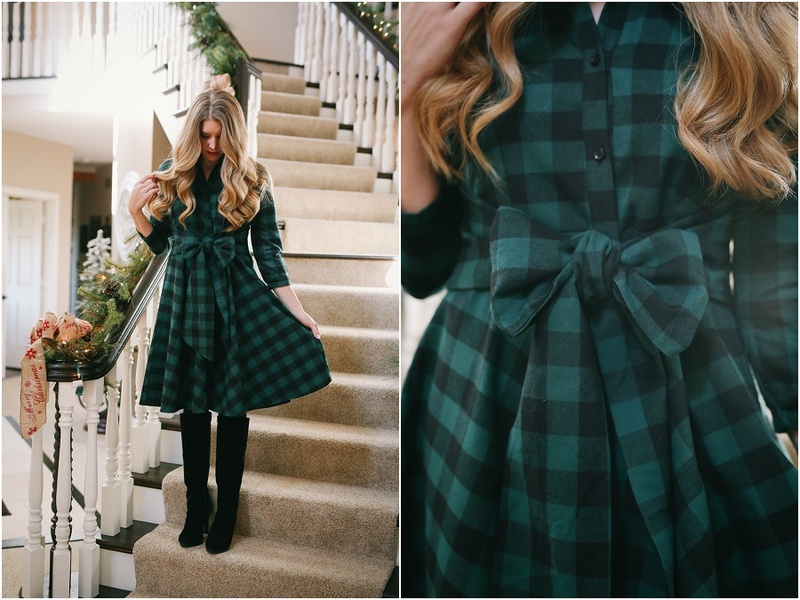 This plaid dress just screams Christmas! 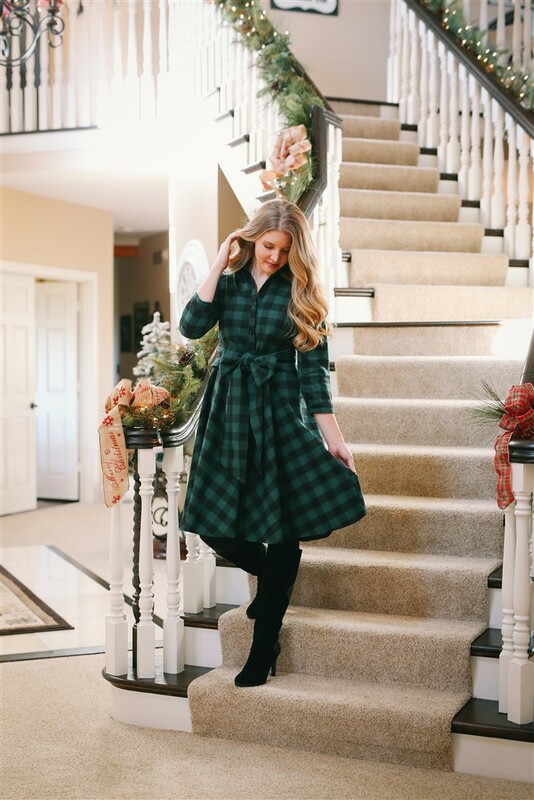 The classic tartan plaid will never go out of style, and this will be a dress you will be so glad to have in your closet for years to come. It's a cozy, stretchy material and the silhouette is very flattering. What's even better is... The dress is between $27 - $31 depending on what size you get. It's available in Small to 2X. I will add... this dress runs pretty small. I'm normally a size small/6 and I ordered a Large. The Large, in my opinion, fits like a 6. I'm 5'6" and it hits right at the knee. If you want specific measurements just click on the size chart on the Amazon listing. 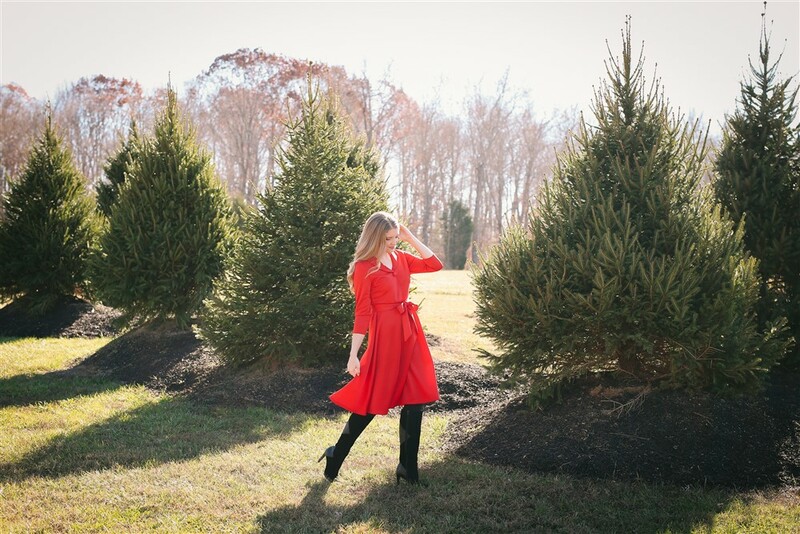 You can never go wrong with a statement red dress for any Christmas event. 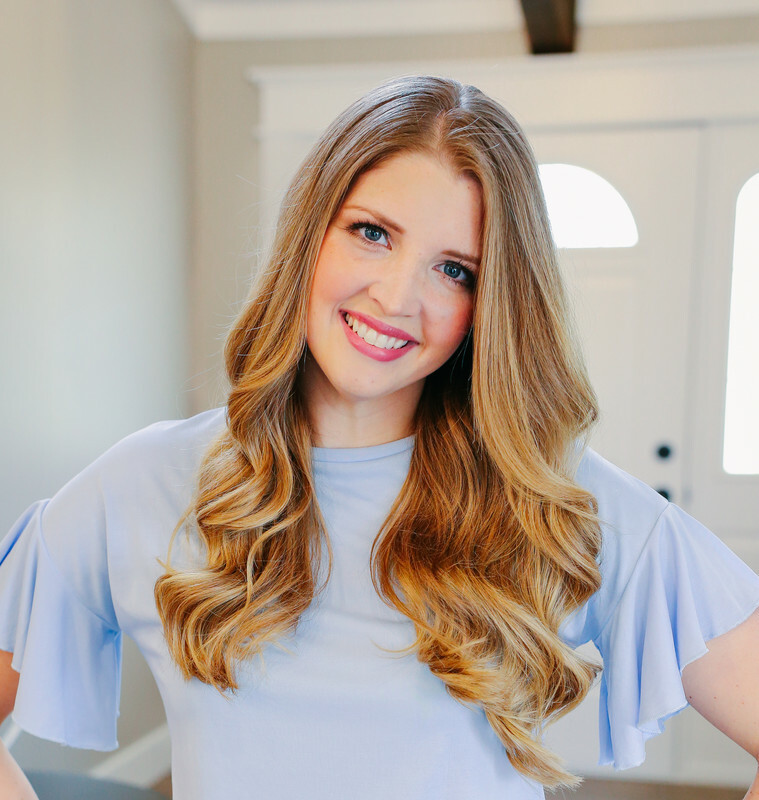 I love the classic look of this dress with the rounded collar. 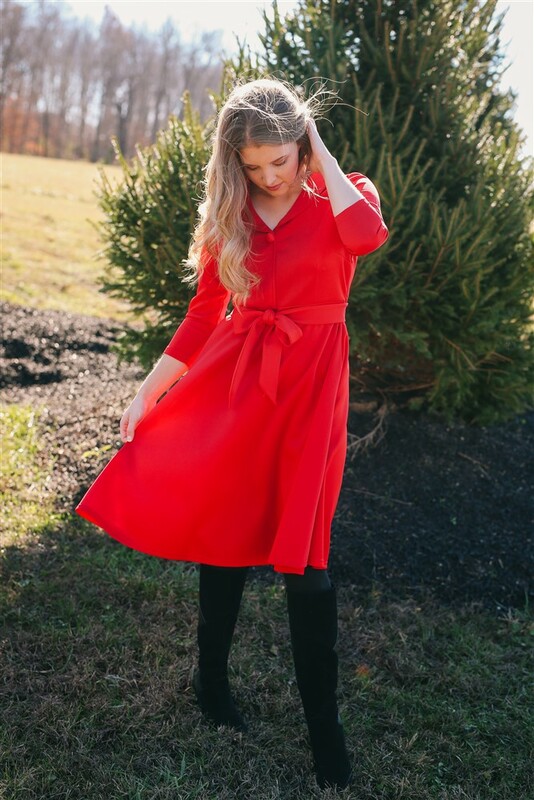 It's a timeless Christmas dress and could also be worn for Valentines Day. At only $28.99 this dress is a complete steal! It's available in sizes S-2X. I am wearing the Large in this dress. I also ordered the Medium. It fit as well (I think the Medium fit like a size 4-6) but I decided to keep the Large since I don't like to feel uncomfortable. I have plenty of room in the Large. I think it fits like an 8. I'm 5'6" and it hits just below the knee. This buffalo print dress turned out to be my absolute favorite. It is a gorgeous deep hunter green color. The fabric is a super nice quality (very warm and perfect for winter), and I just LOVE the belt. 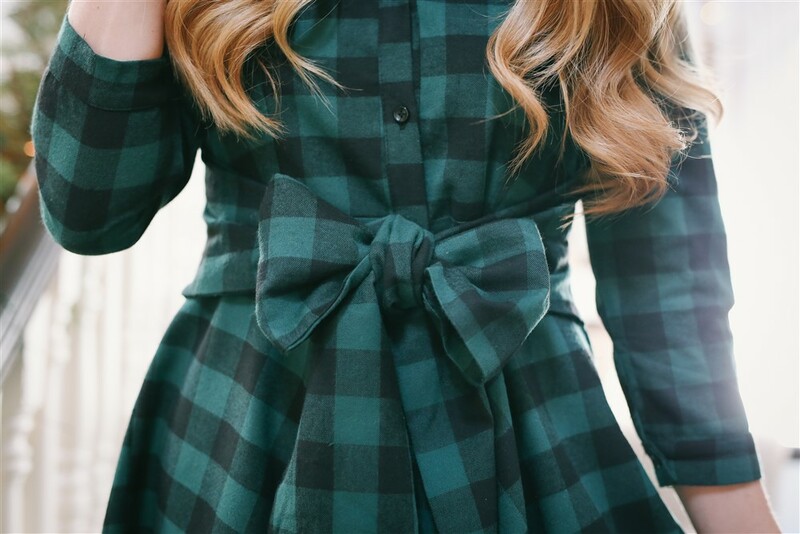 You could also tie it in a square knot, but there is just something about a bow that is so classic at Christmas time. I am wearing the medium here, and I think it fits like a 6-8. The waist has plenty of room, but with the belt tied it doesn't look too big. I sized up to a medium so the bust wouldn't be uncomfortable. It's available in sizes S-2X. This dress is the most expensive of the three at $34.99 but TOTALLY worth it, and is a great deal, in my opinion! It's also available in red buffalo print and white buffalo print which would be adorable for Christmas as well! I'm 5'6" and the dress hits below the knee. 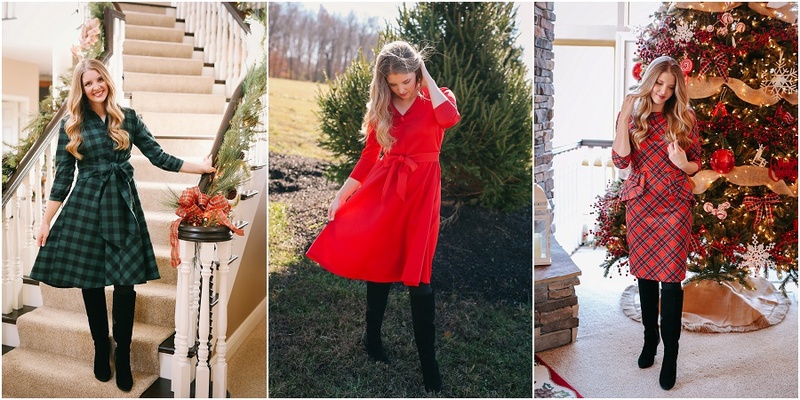 If you purchase one of these dresses make sure to tag @courtneycollingsworthmetz in your Instagram photos.<3 I hope everyone is having a blessed Christmas season so far! All of these are so stinkin' ADORABLE!!!!! LOVE! 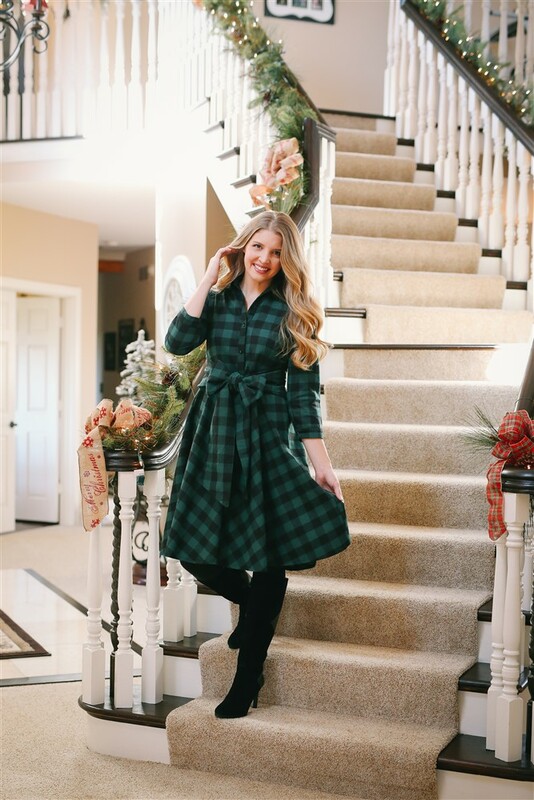 I am so glad you made a post of affordable Christmas dresses! They're all so cute! These dresses are so beautiful! I don't have any dressy Christmas engagements on my calendar this year so unfortunately I don't need to buy a new dress. If I did buy one I would go with the red tartan. 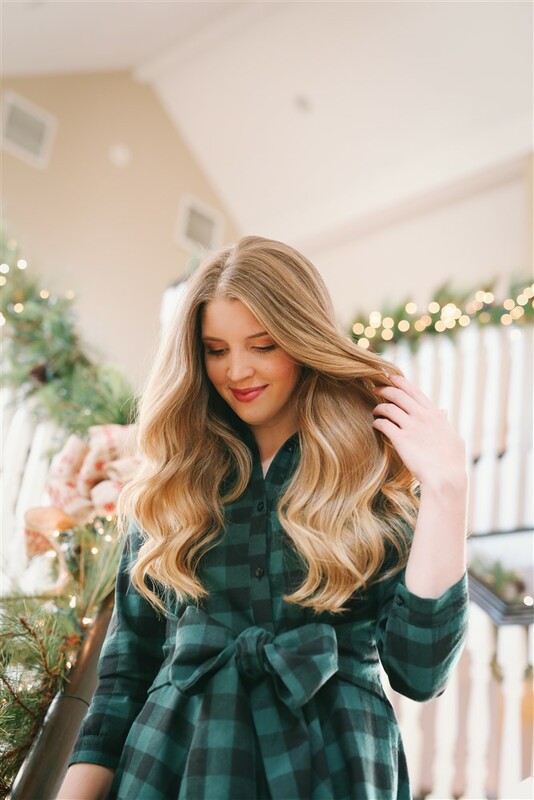 Over the past couple of years my Christmas tastes have become more classic and traditional and I can't get enough of Christmas-y tartan!